DON’T MISS OUT ON THE BEGINNING OF THE HOLIDAY SEASON AT THE BEACH! Did you know that Pleasure Island is known as “Island of Lights” throughout the Thanksgiving and Christmas holidays. 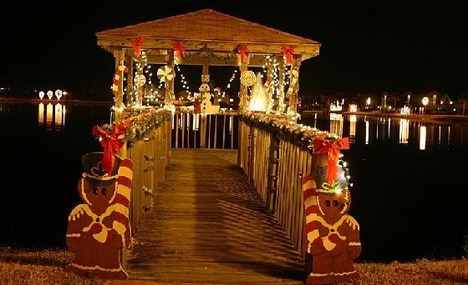 It all starts out with the “Light up the Lake” event on November 23rd in Carolina Beach. The Island of Lights activities includes the Tour of Homes, the Christmas Parade and the Holiday Flotilla. In addition to a festive beach atmosphere, November is a month full of Theatre, Film and Arts in Wilmington. For those film buffs, a “must do” is the 18th Annual Cuculorous Film Festival that runs November 8-12. Over 190 films will be screened this year! To wet your appetite for the holiday season, below is a fall receipt for Orange Pumpkin Pancakes with Cinnamon Maple Syrup. This week the Beacon House Inn will serve up these comforting pancakes along with other fall breads and muffins. If you decide to make these pancakes at home, the trick is to use a cast iron skillet to get crisp edges while keeping the pancake light and fluffy in the middle. Enjoy! Sift together the flour, sugar, baking powder and salt in a large bowl. Combine the pumpkin, milk, egg yolks, orange juice and zest in another bowl, mixing until homogenous. Pour the wet ingredients into the dry ingredients and mix until combined. Preheat the cast iron skillet (or griddle). Beat the egg whites with a pinch of salt in a separate bowl using a whisk or electric mixer until the whites form stiff peaks. Fold the egg whites into the batter in thirds. Do this gently so the pancakes will be light and fluffy. Melt small pats of butter onto the skillet. Spoon or ladle the batter onto the skillet to the desired size of the pancake. When the top are full of holes (looks like bubbles have risen to the surface and burst), flip and cook until the bottoms are golden brown. Transfer to a serving plate and dust with powdered sugar and serve with the Cinnamon Maple Syrup. Heat the maple syrup with the cinnamon stick in a small saucepan over medium heat. 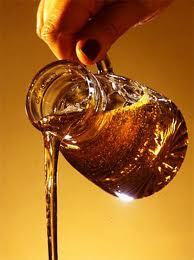 When the syrup is hot, remove from the heat and allow the flavors to steep, about 30 minutes. Serve with the pancakes. This entry was posted in Cuculorous Film Festival, Holiday season, Island of Lights, Orange Pumpkin Pancakes by admin. Bookmark the permalink.